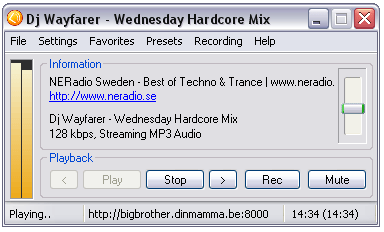 Screamer Radio is a Free Portable Internet Radio Player. It can be used to Stream Internet Radio Stations from the internet direct to your PC. Free Radio Streams can be selected from a repository of Genra listings or entered manually. Radio stations or streams can be stored in your favorites for future access and all Streaming music can be recorded on the fly with a simple click.